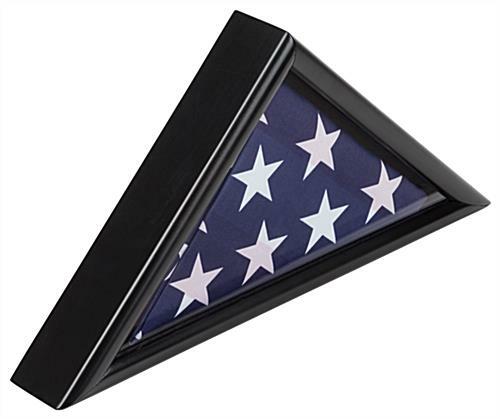 Black memorial flag holders help to honor veteran loved ones. 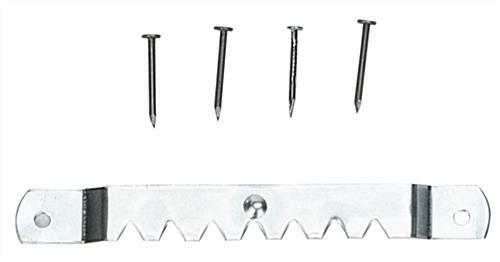 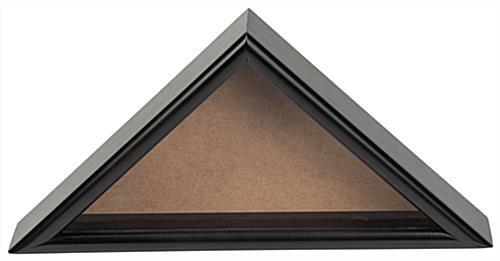 This military funeral display can be featured on a tabletop, mantel, or wall. 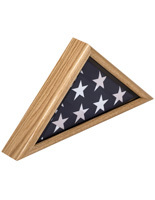 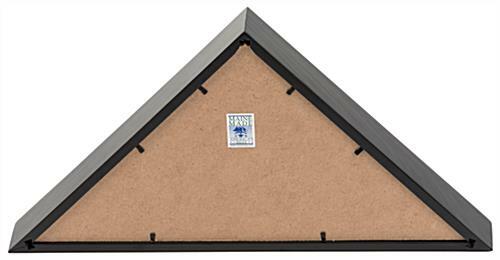 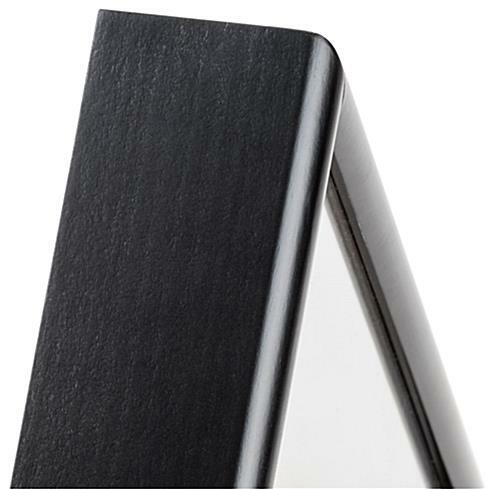 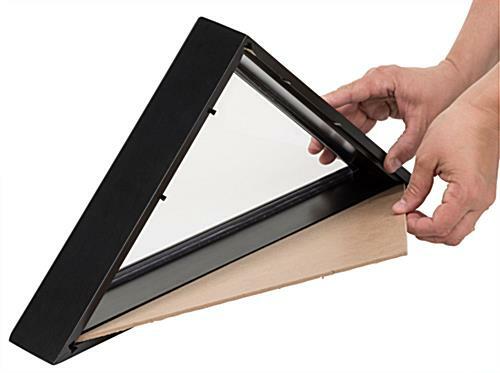 The rear loading memorial flag holder allows for quickly and easily inserting a banner. 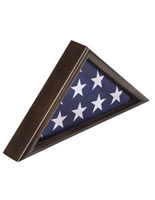 Proudly made in the US, this military case personifies the American spirit. 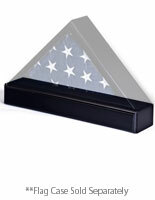 The flag holder’s glass lens gracefully shows the detail and beauty of the white stars on the burial ensign. 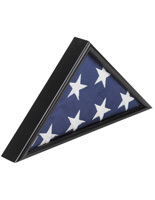 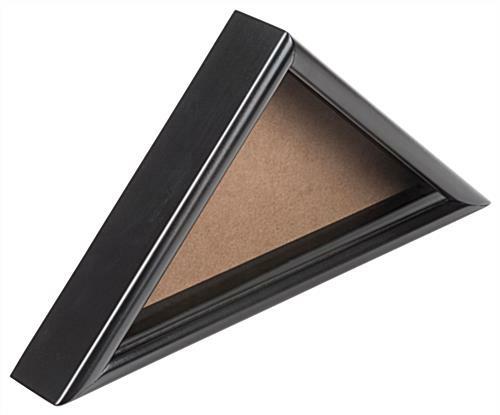 Impart respect and admiration at any service memorial with an elegant ensign display.